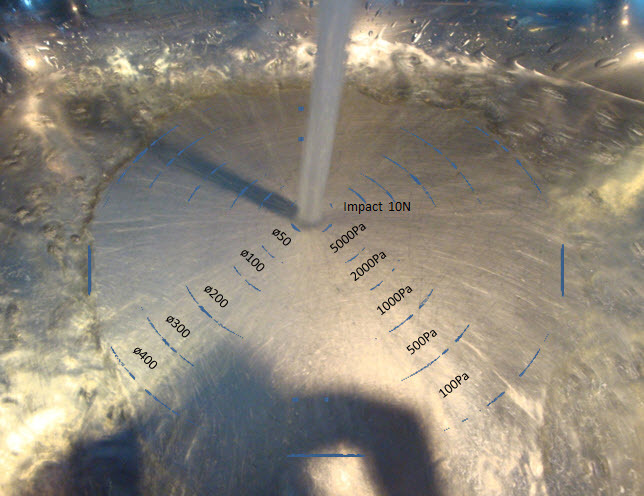 /INS.When the water jet, coming from a rotary jet head cleaning device, hits the tank wall, it generates a force of impact (N). After impact, the jet spreads out and creates a cleaning footprint with high wall sheer stress force (Pa). As the cleaning machine is rotating in a 3D motion, the footprint is "moving" around inside the tank in a predefined pattern and cleans the entire tank surface with high wall shear stress. The further away from the impact point the less wall shear stress (mechanical action) is achieved. Traditional spray balls are static. This means the majority of the tank cleaning energy comes from water cascading down over the tank wall at low wall shear stress. This way of cleaning requires large amounts of time, water and energy in order to compensate for the poor cleaning performance. 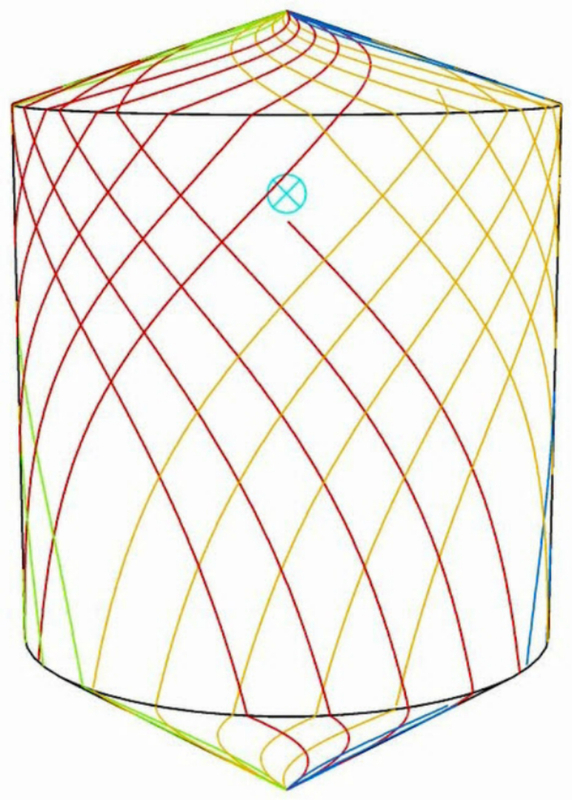 Because of the unique design of Alfa Laval Rotary Jet Head, the first - out of eight - cleaning cycles is hitting the tank wall at an evenly dense cleaning pattern throughout the entire tank surface. The distance between the footprint tracks is relatively wide, but if the product is easy to clean off (e.g. milk or syrup) it only requires little wall shear stress to be removed. This means the pre-rinse cleaning of the tank is done using only one cleaning cycle and you are saving time, water and energy. One cleaning cycle typically takes 1-3 min. and now that the product is effectively removed from the tank wall, the jet will offset the second cleaning cycle and thereby minimizing the distances between the jets. More cleaning cycles are needed for products that are harder to clean. Compared to a static spray ball, the Alfa Laval Rotary Jet Head is a higher initial investment, but its low operating cost gives a short payback time - often less than one year.